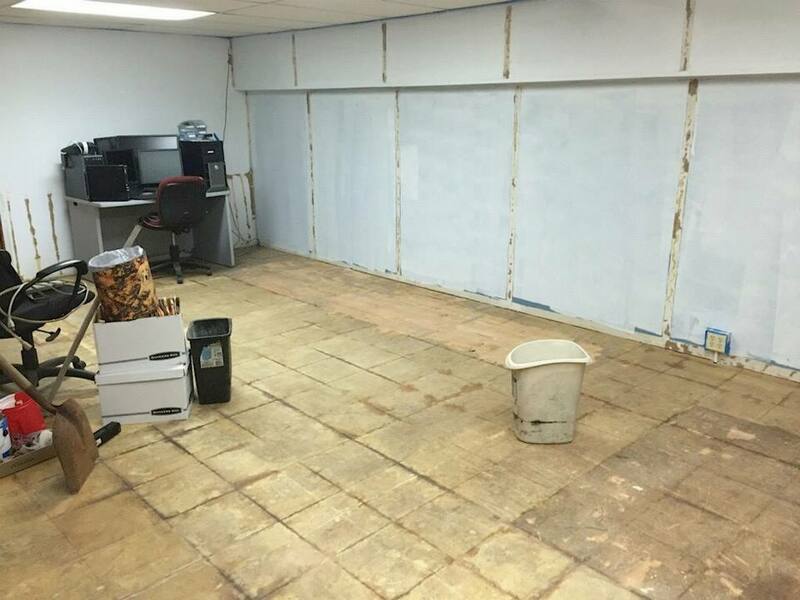 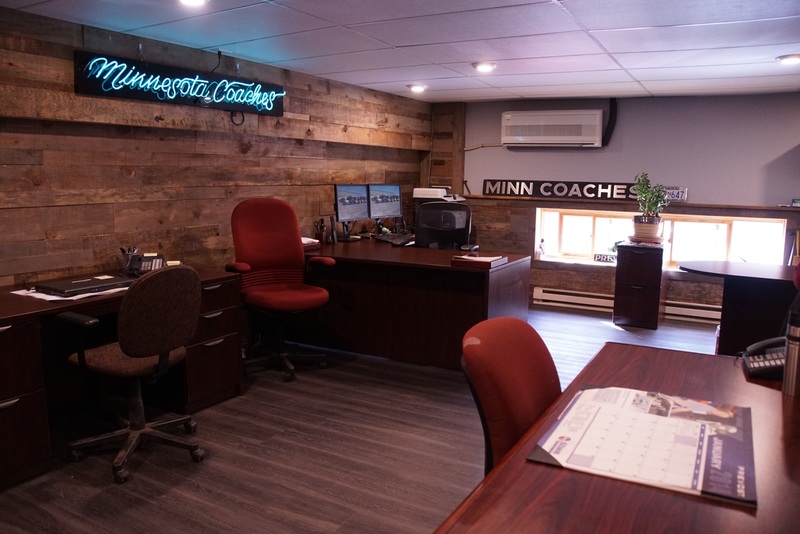 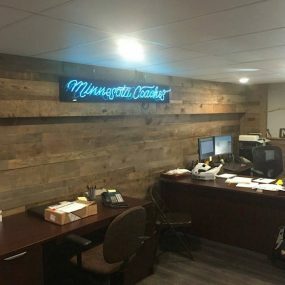 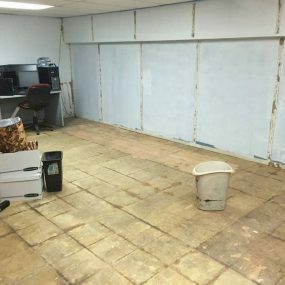 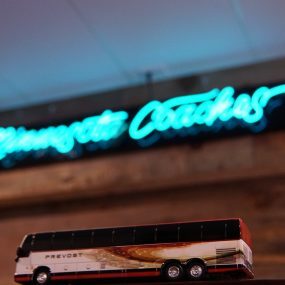 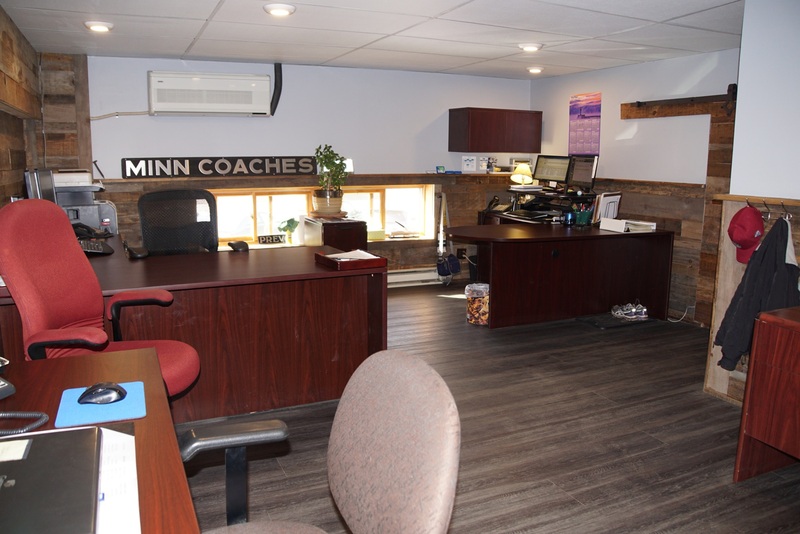 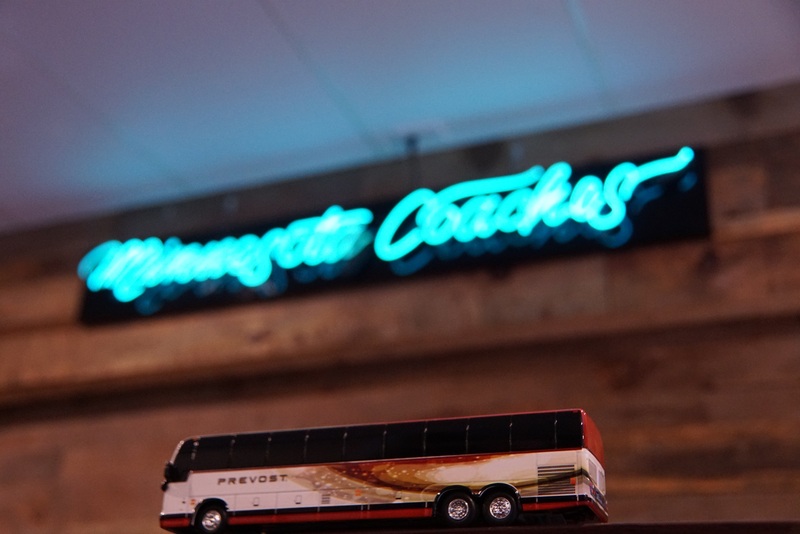 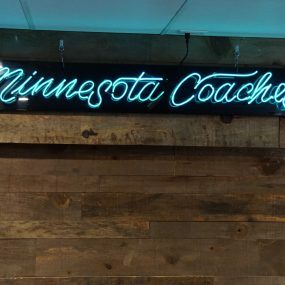 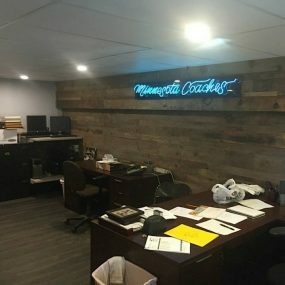 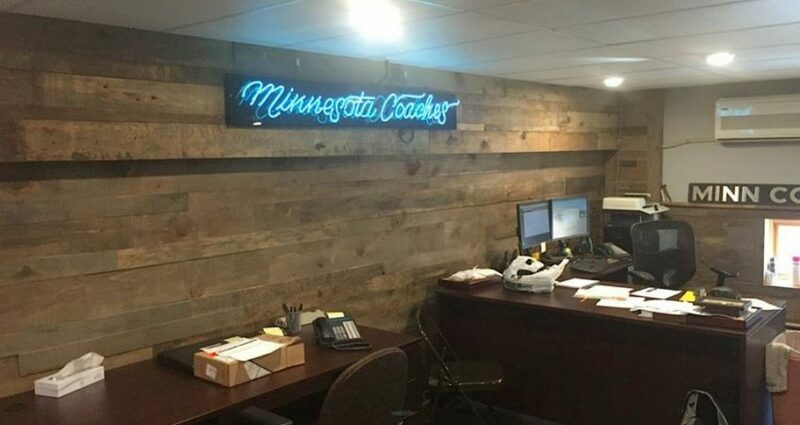 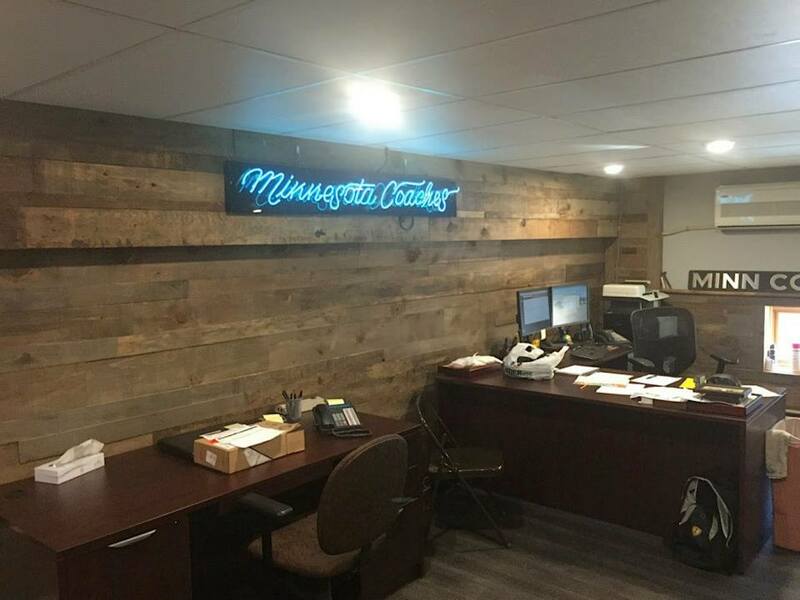 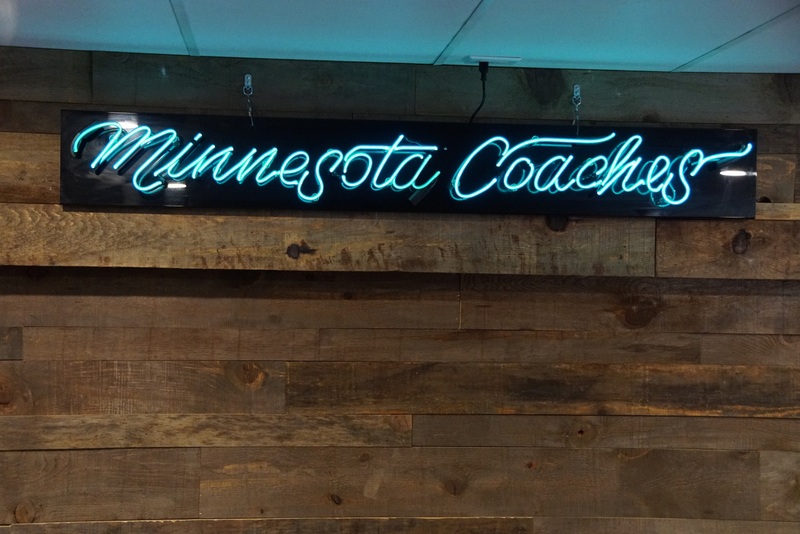 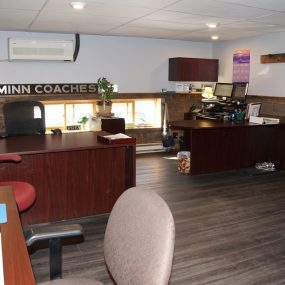 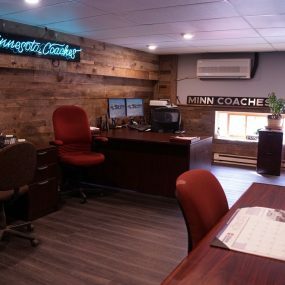 Recently we did an office crash at Minnesota Coaches. 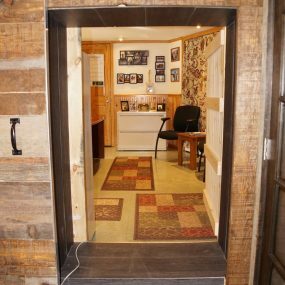 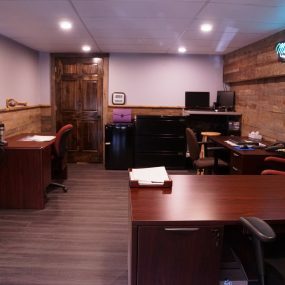 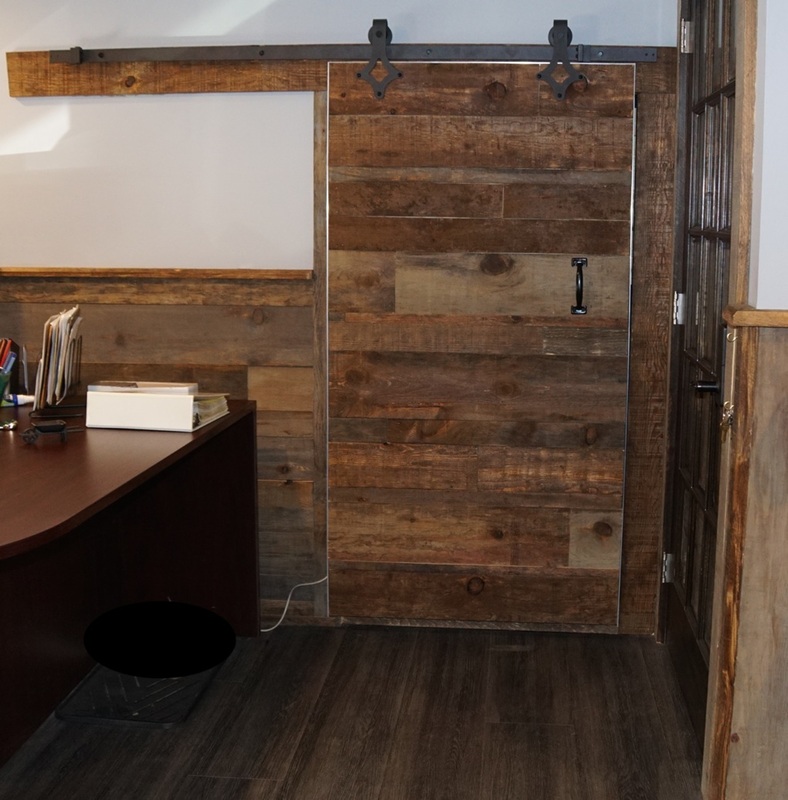 The client wanted a elegant office that made a statement to their clients. 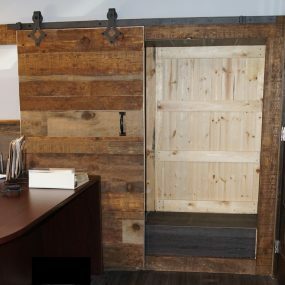 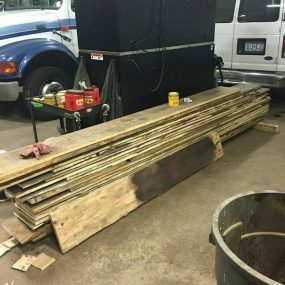 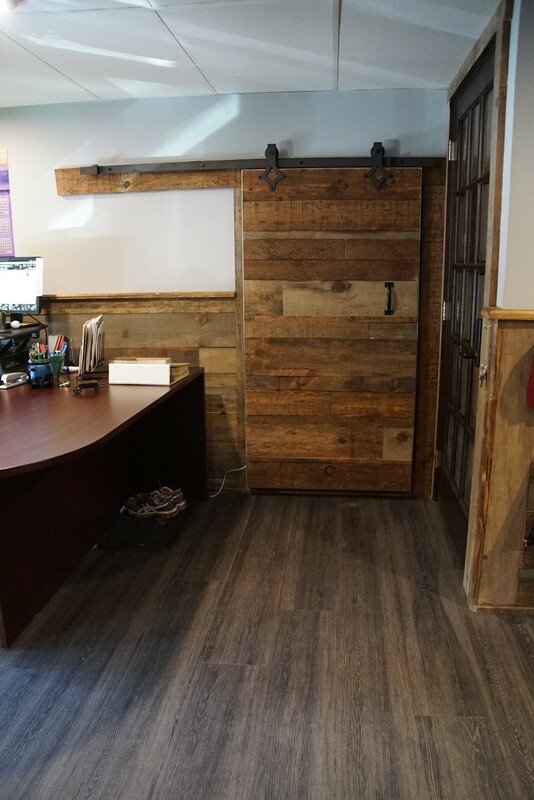 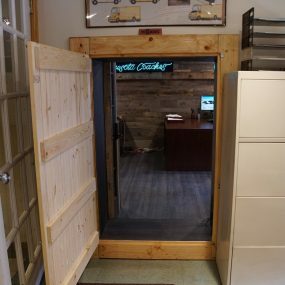 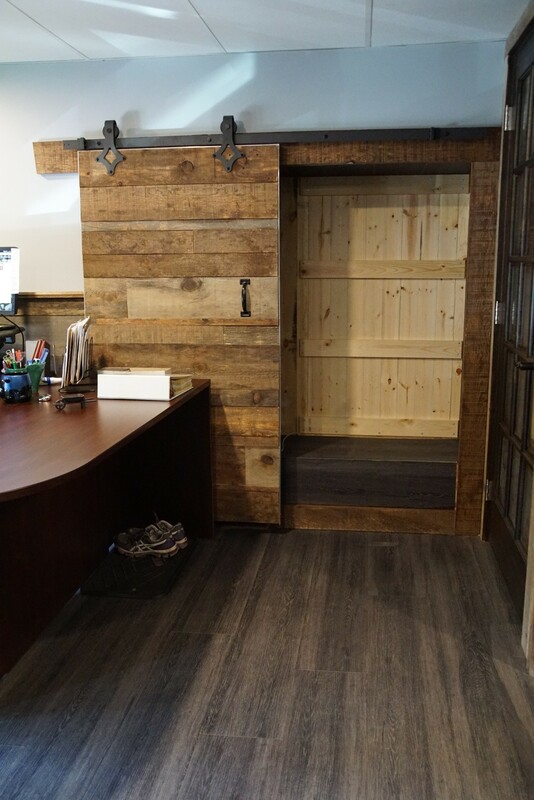 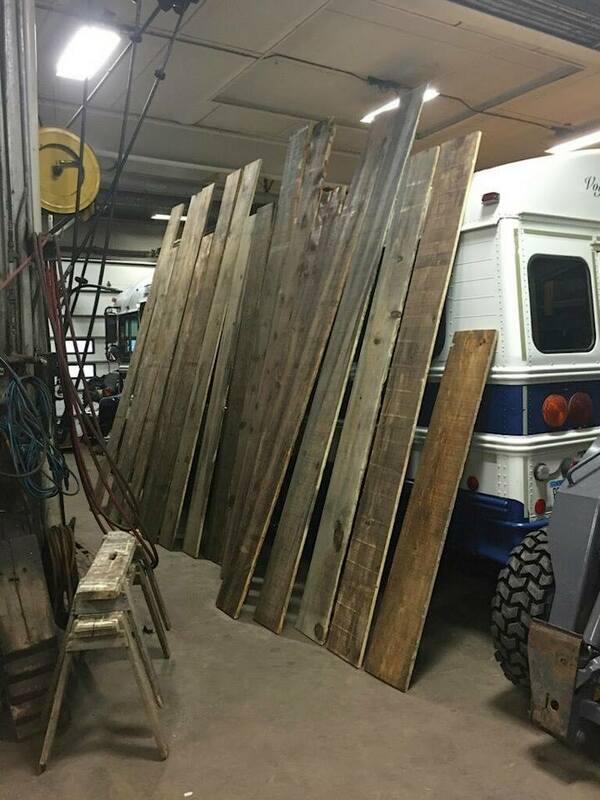 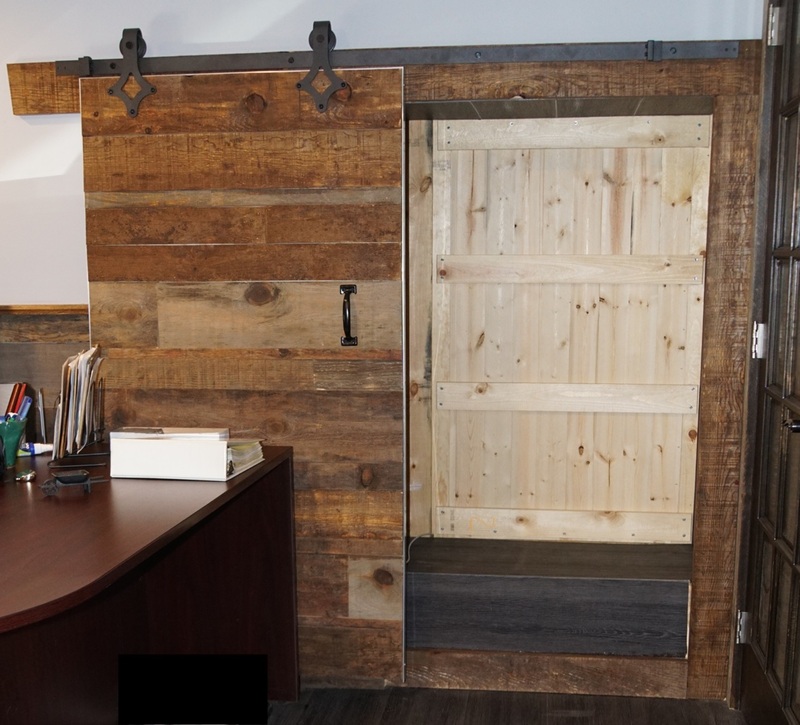 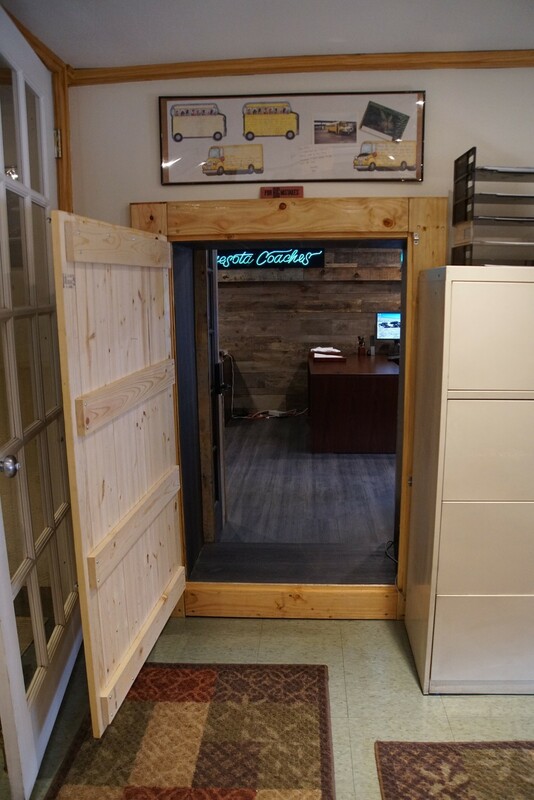 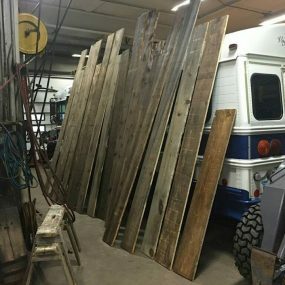 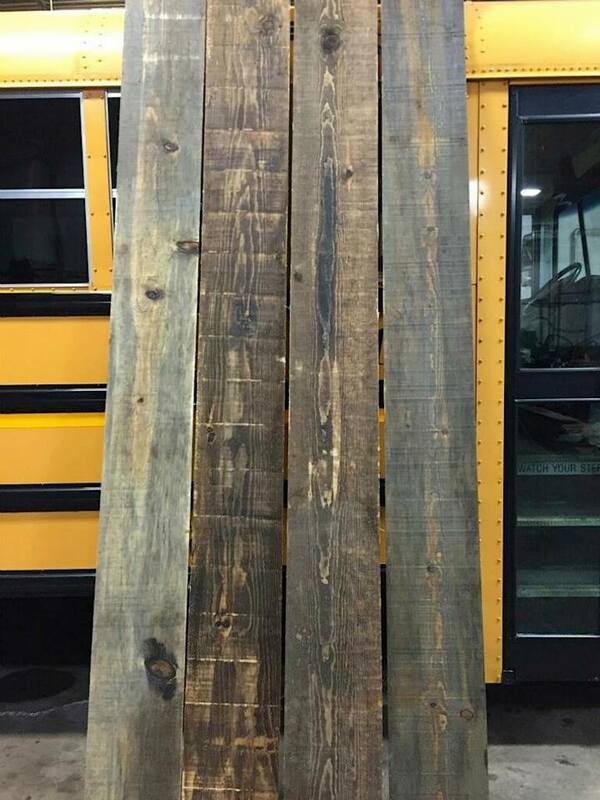 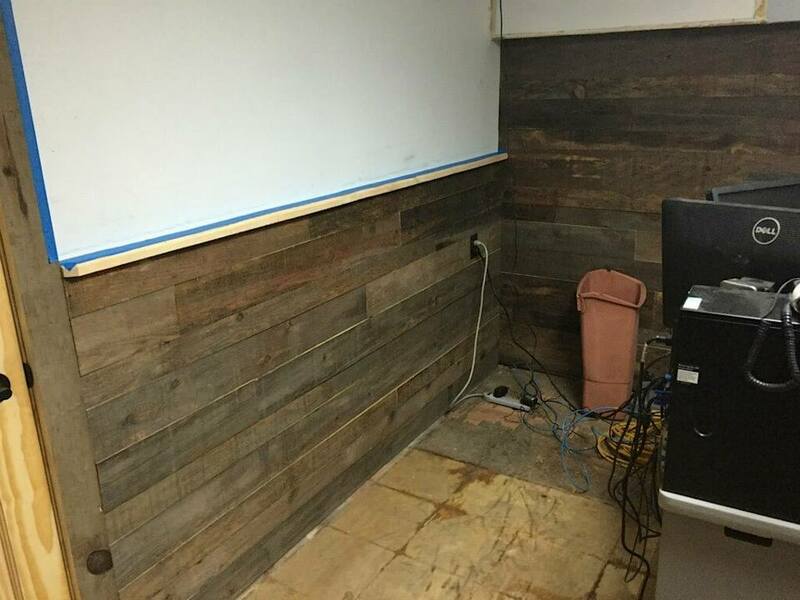 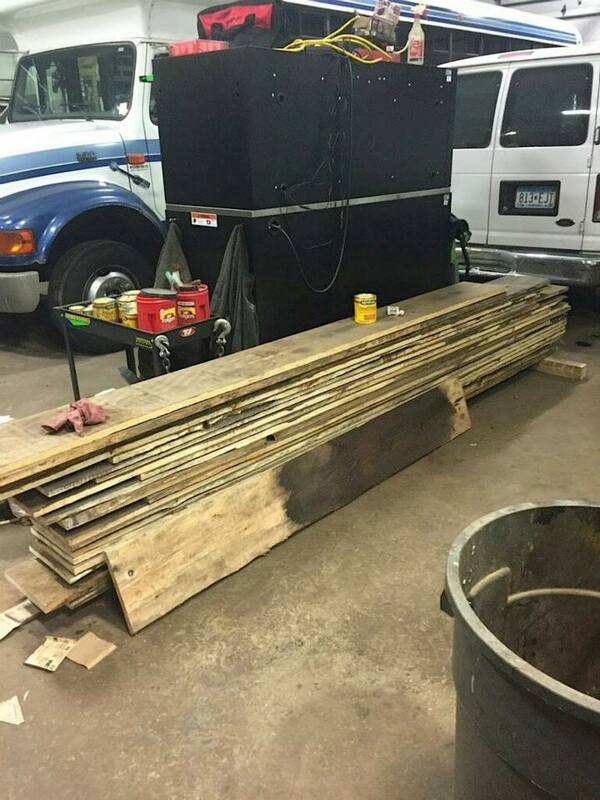 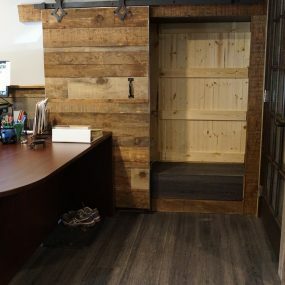 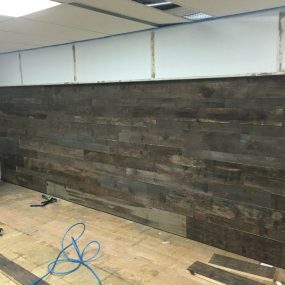 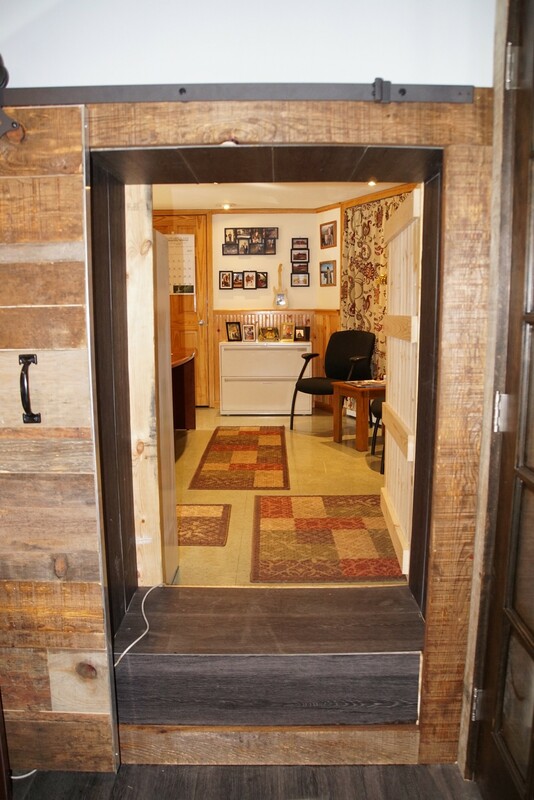 KCC came up with a reclaimed barn wood idea but unfortunately the budget wasn’t going to let us do that. 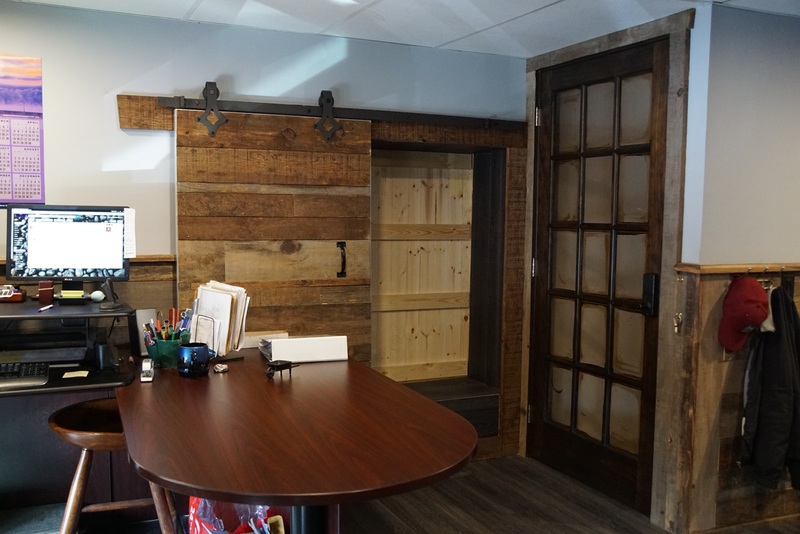 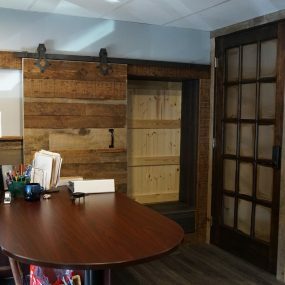 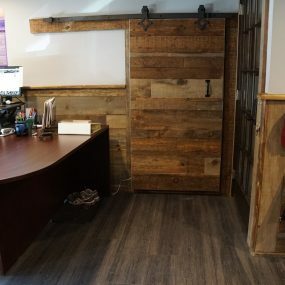 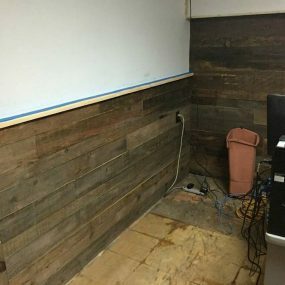 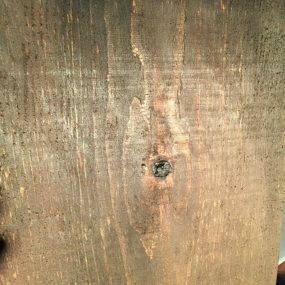 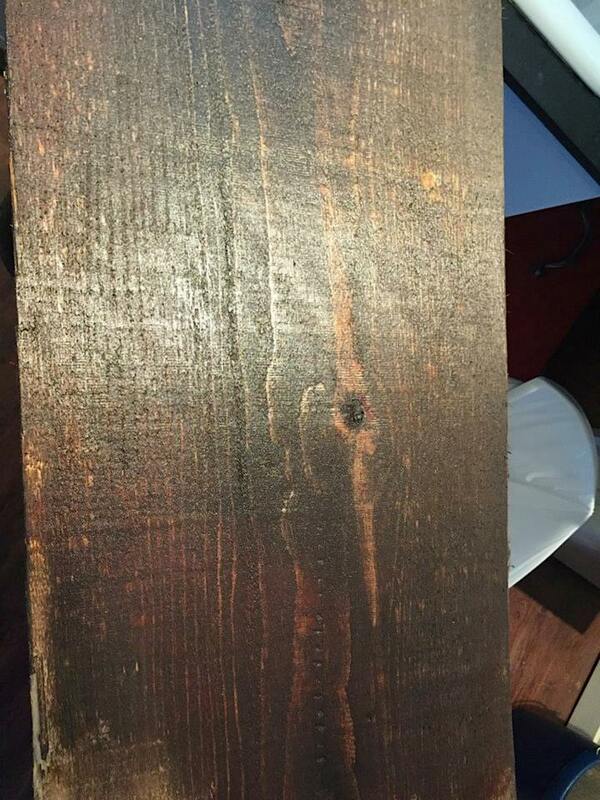 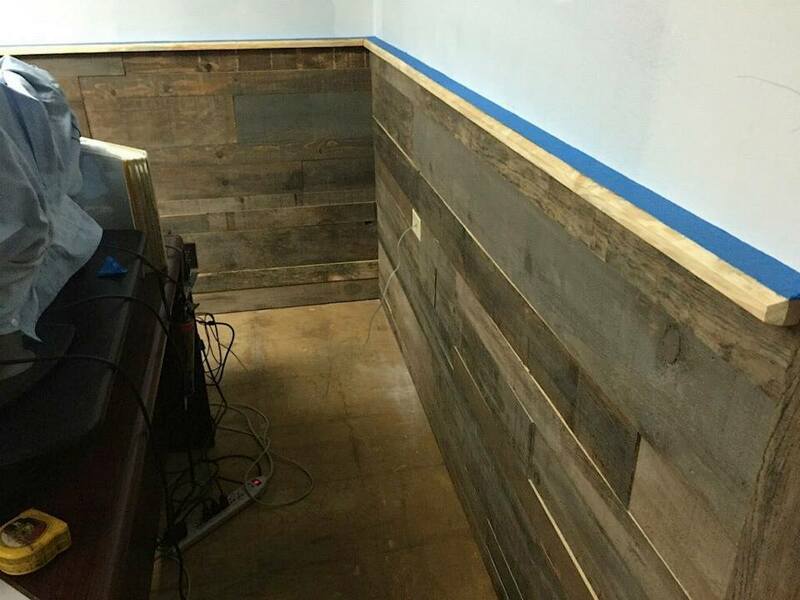 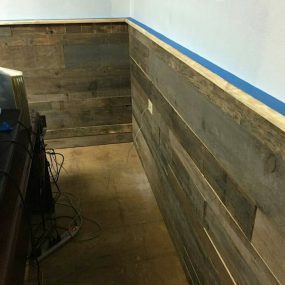 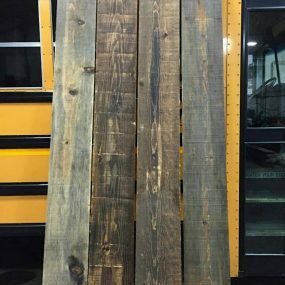 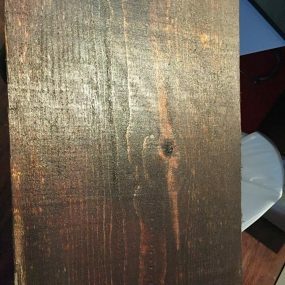 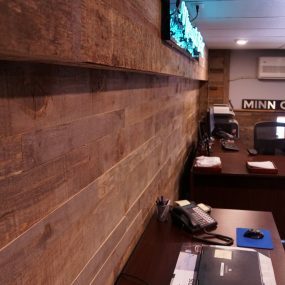 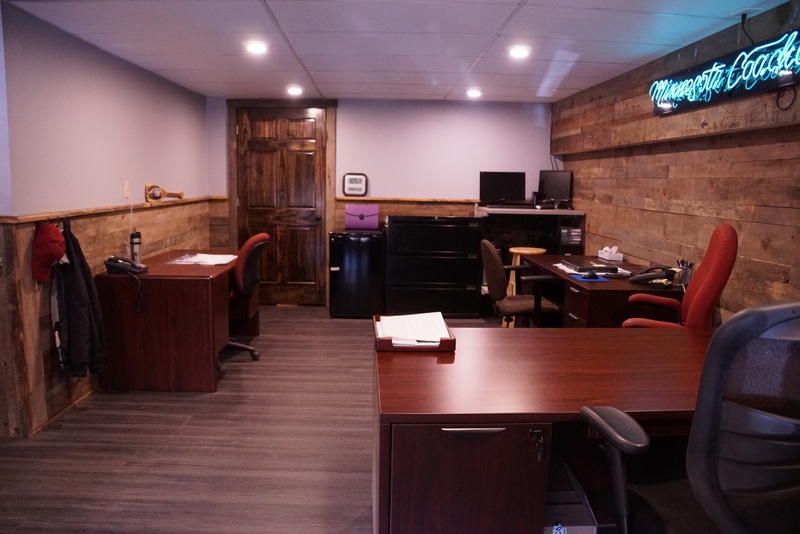 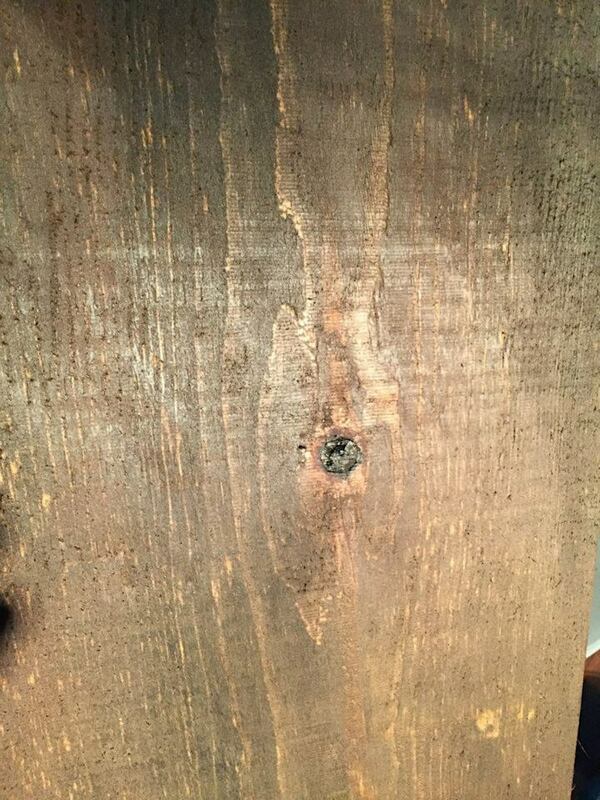 So we ordered 1×12 rough sawn lumber from H&H lumber in Superior ( they use it for forming concrete footings) and had the client stain the wood using oil based stains and letting the artist come out to make a beautiful aged reclaimed look! 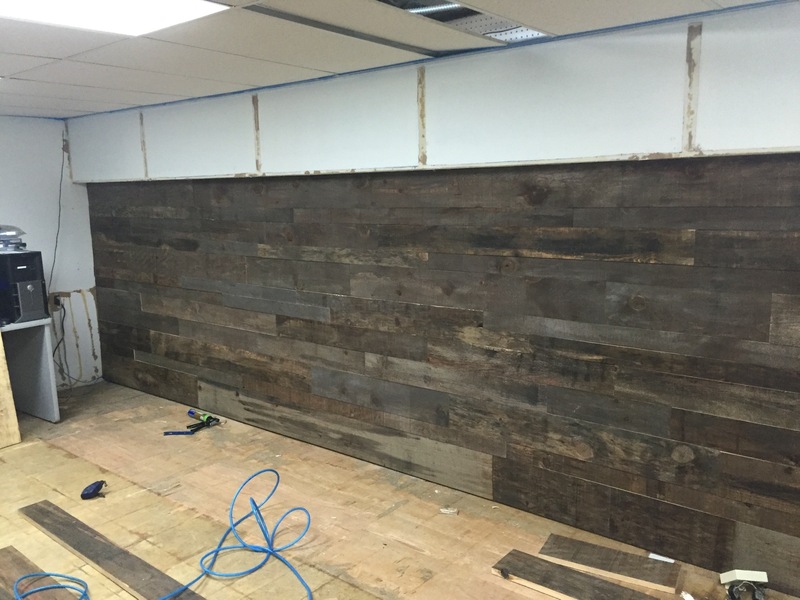 After all the boards were done we cut them up into various widths and lengths, put them up with no apparent layout. 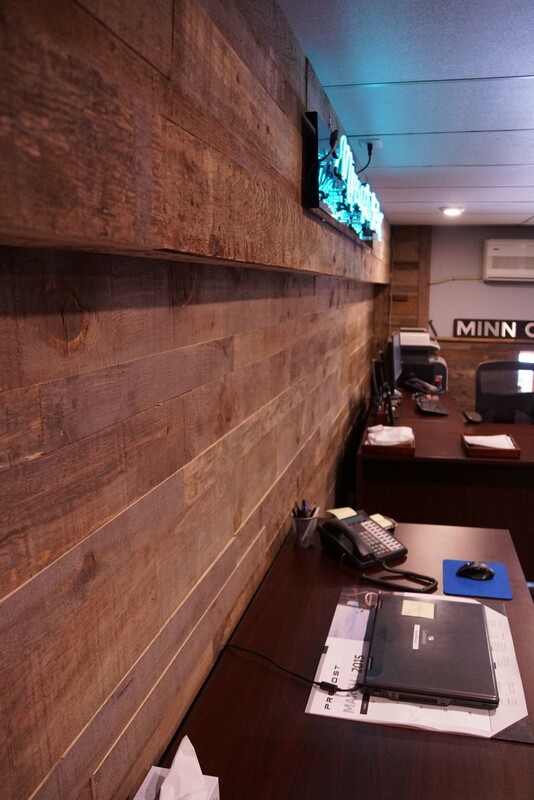 We removed the 1980’s drop ceiling and installed a orange peal textured white ceiling tile with new LED can lighting. 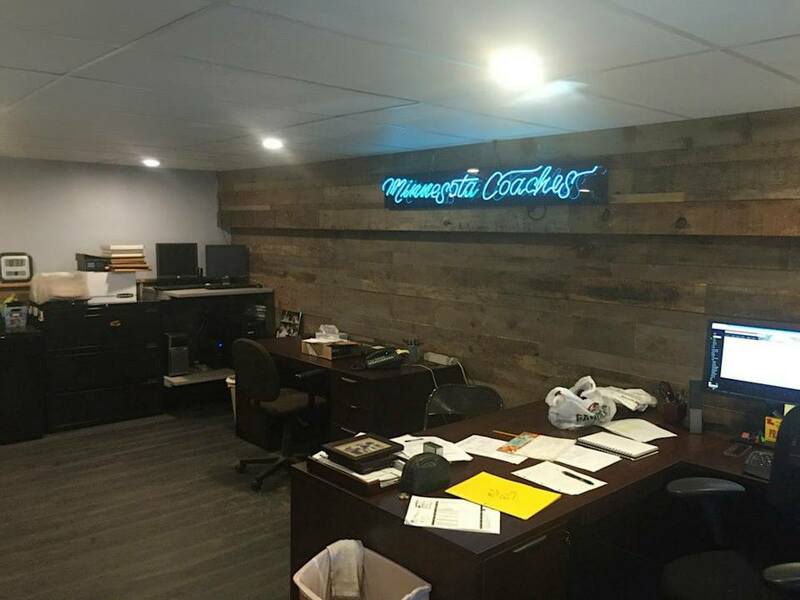 As for the floor its a LVT commercial grade flooring that will stand the test of time (Flooring purchased from Floor to Ceiling Duluth) We custom made sliding doors and hidden access panels, replaced the existing doors, and picked out a nice subtle gray color to pain the walls (turns out the best color gray we could find was the Minnesota Coaches gray paint color they use on their buses.